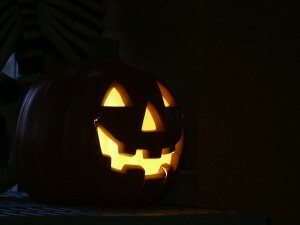 It’s almost Halloween, so I thought I would write about something that is kind of scary when you step back and think about it – how we develop leaders. I work with a number of practitioners in a number of different organizations. I have great respect for those on the front lines trying to help lead their organization to new levels. What fascinates me is the process of leadership and management development. Few reading this post would disagree that there is a difference between a technical skill such as performing CPR or heart surgery and leading others who serve those functions. I have spent some time in healthcare organizations and am amazed at the years of education and on the job coaching/training the doctors and nurses with whom I work have endured. They have spent years mastering their areas of technical expertise and have vast reservoirs of knowledge, real time experience and the amazing ability to use their knoweldge to diagnose the problem, brainstrom solutions and then provide the intervention (surgery, etc.) – often in seconds. In most organizations, the same people with the incredible technical experience are often promoted to leadership/management roles. Perhaps someone in authority has noticed their technical expertise and some personal attributes such as punctuality, a happy demeanor and the ability to follow through. As this technician makes the switch to management/leadership he or she is entering a completely new realm. Again, a realm that indviduals spend years studying, practicing and so forth. However, these new managers are given, at best, about 20-30 hours of formal training (how to read a budget, etc.) to do the job. Then, they simply jump in the fire. Endless meetings, multi-miilon dollar budgets, inventory, and the two co-workers who have hated each other for 15 years now fill this person’s day. A different kind of triage I guess. Does all this sound familiar? Think about your own industry – you will see similarities. Now, let’s turn the tables. What if you had a manager without a healthcare background and you said, “let’s have you go and provide some patient care today…Don’t worry though, we have about 30 hours of classroom training to get you started.” How would this play out? (cue the scary music)… The employee in question would literally kill people in the process! Sure, after 5 years, they would likely have it down, but what damage would be done in the process? Switch back to organizational life and think about some of the people (perhaps quite inadvertantly) killing your organizational culture? De-motivating and decreasing morale. Good people, just not equipped to win with their 30 hours of training. How does this change? How do we better equip our new managers with the skills needed to navigate the leadership challenges inherent in each organization? How do we help them gain the knowledge to enter the room, diagnose the situation, determine alternatives and then intervene without killing (enjoyment, productivity, morale, satisfaction, etc.) in the process? Tagged with Education and Training, Halloween, leadership development.